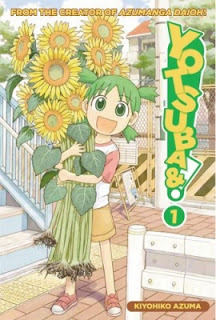 Do any of you know Yotsuba&? It is a cute manga that follows the story of a little girl and her constant adventure on the neighborhood that she currently lives in. Also, when the time is right, we also get the look on how Yotsuba interact with her father, so a father-daughter relationship. And most of the time, it is quite good. Basically, it is a slice-of-life. The formula is quite simple. Yotsuba finds something new, Yotsuba either explore it further or play around with it. It is easy to read and cute, and the backgrounds are superb. The author also mentioned that it’s selling point are it’s simplicity, where one page should show us a character doing absolutely nothing, or their attempt to do something, drawn panel to panel. And I very, very much enjoyed reading the manga and has collected 11 tankoubon that has been reprinted and rereleased in my country. An anime adaptation has been looming for some time, although the author has been denying any opportunity to do so. Why? Because he thought that the simplicity of the manga is just not cut out for the anime. But now, the author might’ve fuming himself about why he rejected it, seeing the success of two problematic anime that followed almost the same pattern. Don’t get me wrong, these two animes are not bad. In fact, it is quite good. Some people told me it’s their pick for the best 2016 anime. The animes in question are Amaama to Inazuma [Sweetness and Lightning]and Udon no Kuni no Kiniro Kemari [Poco’s Udon World]. Amaama to Inazuma aired first before Udon no Kuni no Kiniro Kemari and when it first aired, I immediately had a food for though. Won’t Yotsuba&’s momentum be jeopardized now? I mean, when I watched the anime, the anime closely follows almost the same pattern as Yotsuba&. On paper, they might be different, but once you watch, they will look similar to Yotsuba&. 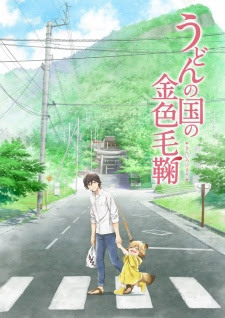 Amaama to Inazuma follows the story of a struggling father interacting with his daughter though it is mostly about cooking, while Udon no Kuni no Kiniro Kemari follows the story of a young man living with a little boy. Do you see the similiarity there? Amaama to Inazuma highlighted the drama and the step-by-step on how to cook a food. While this is not on Yotsuba&’s playbook, the father and daughter relationship that is being highlighted came into play here. And to be honest, it is even better than Yotsuba&. 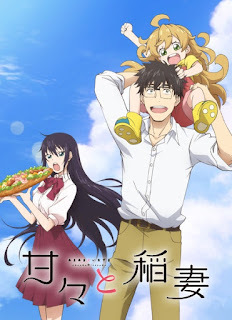 In his review for Amaama to Inazuma, Nick Creamer said that the success of slice of life genre is attributed to the appeal of it’s cast. While he noted that Amaama to Inazuma’s cast are appealing, it’s also the same for Yotsuba&. The cast are appealing, they have their own personality, and their design are cute and lovable. While Yotsuba&’s strong point are it’s background and simplicity, as well as it cutesy, Udon no Kuni no Kiniro Kemari’s background is one of the best in the fall 2016 anime. The beautiful panorama of Kagawa overwhelmingly beats the surrounding of Yotsuba&’s neighborhood. And the simplicistic comedy and formula of Udon also it’s strong point. And what does both anime posses that Yotsuba& also posses? Of course, how they depict children and how they interact with the lives. Sure, Yotsuba’s strong point are being taken by them, but what if Yotsuba had aired first? In my opinion, if it did air first, it should have capitalized on it’s strong background, cute animation,overall jokes, and most importantly, how children are being depicted in the anime world, as well as their overall child voice acting that were going to be adapted. While there might be trouble on several aspect, there’s a chance that Yotsuba’s anime will revolutionize the industry of anime had it aired. 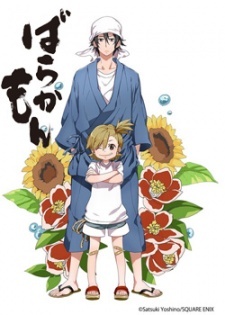 However, the impact of children to the industry of anime has long been attributed to Barakamon, and on the same time, manages to capitalize on it’s strong and beautiful background to be succesfull, as noted by Jacob Chapman in his review for Barakamon Blu-Ray and DVD release, that the addition of children to the anime and actual child actor’s voice acting is a rarity in anime at that time. Nick Creamer also praised the vocal performance of the child actor in his review for Barakamon episode 1-8. 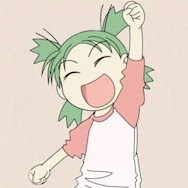 Whatever impact Yotsuba& will bring has long since disippated, it is too late now. Maybe the anime Nyanbo! Is the remaining attempt to capitalize on another one of Yotsuba&’s strong selling point, the danbo costume. However, in his review for Fall 2016 short animes, Nick Creamer noted that Yotsuba&’s anime is like a monkey paw’s wish that if it does happen, we might’ve regretted it. We should just enjoy the manga. To me, yes, this is also true. But, in my opinion, there’s no telling what impact that Yotsuba& might’ve brought had it adapted and aired first. Considering all what just been stated above, it may have been too late. And this time, don’t say never say never. It might be best for business not to adapt Yotsuba& anymore. Just like what Nick Creamer said, we should just make do with the manga.